Finally the Rolls Royce of all cola latex bottles has appeared, just in time for you to make it disappear! This performance gem is a two-piece apparatus and is sealed so it will hold liquid without leaking! 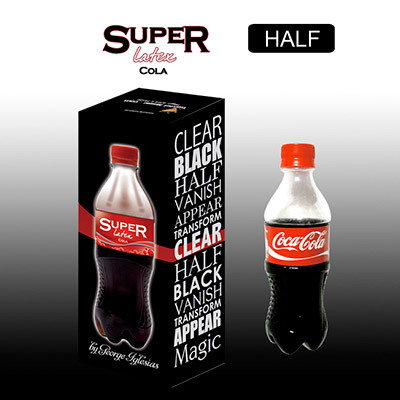 It looks like a 100% real Cola bottle and comes with a real Coca Cola label, yet it can be squished to a tenth of its original size! Even better is the versatility it affords. Make any liquid appear or disappear, or transform the bottle into glasses of other liquid, silks, rope, anything you can fit into a paper bag! So join the latex revolution and see what this multi-faceted prop can do for you. Purchase yours today!